Many people have heard of Feng Shui, but not that many know what it means or how they can use it. The ancient Chinese started using Feng Shui centuries ago, in order to promote health, wealth and happiness in their home. The idea is that Feng Shui releases any negativity, not only in your house, but also in your life. By placing furniture in the right position, Feng Shui creates space to promote positive thoughts, good energy, health, love, wealth, and relaxation. This is the first step in Feng Shui and is one of the most important. You need to clear any clutter out of your house and lighten the load in your home. Get rid of anything you do not need or want, and make your house as tidy as possible. Clearing out your belongings can be a long and tiring process, but it will make you feel better and help to empty your mind of clutter too. 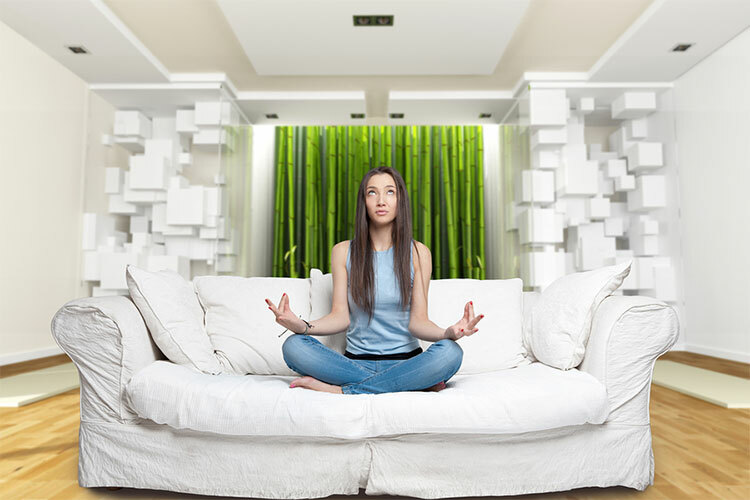 Space is an important part of Feng Shui, so you need to make as much space as possible so you can get the right energies flowing through your home. Good Feng Shui energy is called Chi, and both good quality air and good quality lighting are vital to create a good amount of Chi in your home. Try and open the windows as much as possible to let in fresh air, and use as much natural light as you can to brighten up your home. You can also buy plants which help to purify the air in your home, meaning it is as fresh and clean as possible, and the levels of Chi are good. There are lots of plants you could use, including an Areca Palm, English Ivy or Boston Fern. Wood - this harnesses the power of creativity, and represents traits such as strength, flexibility and intuition. Fire - this increases enthusiasm and leadership skills, and encourages inspiration and expressiveness. Earth - this can affect physical strength, while also generating a feeling of grounding, balance, and stability. Metal - this works on mental clarity and logic, and can affects character traits such as organisation, focus, and analytical abilities. Water - this encompasses spirituality and human emotions, and helps to balance inspiration, wisdom and insightfulness. Walk around the outside of your house and look at all the different elements that could affect positive and negative energy. Check your house has a clear, strong energy flow to the front door, and there are no shrubs or trees blocking the path. Make your front door as appealing as possible by lighting it up and keeping it clean. Buy a new doormat and don’t leave any shoes or boxes in front of it. If you hang a wind chime outside your house it will sing in the wind and draw attention to the space in front of your house, inviting opportunities into your home. Where you put your bed is key for maximum rest and peace of mind. Ensure the headboard of your bed is not against the same wall as the doorway in your bedroom, or if you have no other choice, place a mirror on the opposite wall so you can see when people enter the room. The best place to put your bed is diagonally opposite the door, as it distances you from the entrance while keeping you out of direct alignment with the room opening, which is good for sleep, relaxation, and healthy Chi.